Lyn’s YouTube Channel reaches over 155,000 subscriptions, having become one of YouTube’s leading channels on the varied topics associated with “the last days”. Her program covers a broad spectrum of subjects: End-times events, spiritual warfare, personal and national repentance, as well as breaking news that speaks to the fulfillment of Bible prophecy. Lyn Leahz is a journalist, radio show producer and host, author, as well as contributor to numerous alternative media news and opinion sites including her own site, Freedom Nation News. Of particular note, Lyn’s YouTube Channel reaches over 155,000 subscriptions, having become one of YouTube’s leading channels on the varied topics associated with “the last days”. 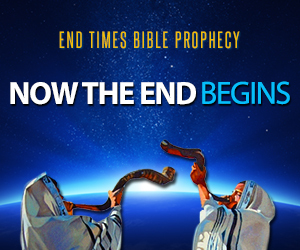 Her program covers a broad spectrum of subjects: End-times events, spiritual warfare, personal and national repentance, as well as breaking news that speaks to the fulfillment of Bible prophecy.